all the auctions functions at once! Thousands of different cars every week. Used cars from all over Europe. Cars in good condition, after accidents, with low and high mileage. No additional fees – first-hand sales. Clear pricing - there are no surprises. You pay only for the car, its transportation and preparation of documents. 25+ years of experience in the car market. 10+ years of experience in the online car auction market. The mileage of all sold cars is checked and validated. Each car receives a VIN number. All cars are inspected by certified independent EU experts. Data storage according to EU standards. Convenient and intuitive tools for using the platform. Clear procedures when paying for a car, preparing its documents and picking it up. Car auctions available online 24 hours a day. 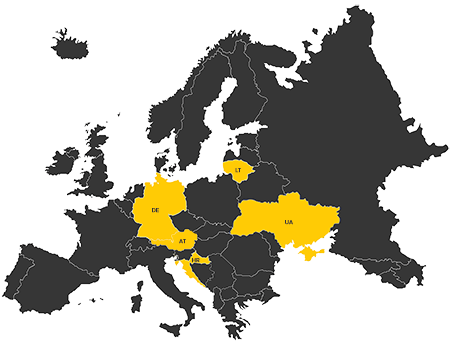 We work with Western European companies operating the largest leased car fleets. Photos of all visible damages are provided. A certified expert will verify the report with his signature. Exleasingcar is an international platform for auto auctions. All cars on the Exleasingcar platform are evaluated by independent experts, therefore we can guarantee their quality. We provide detailed information about each car: true mileage, service history, clear damage report. Some cars have factory warranties. Exleasingcar car auctions are updated every day and more than 7000 auto advertisements are provided here each week. Always wide selection of cars from Audi, Volkswagen, Škoda, Toyota, BMW, Mercedes-Benz, Renault, Peugeot, Lexus, Ford, Opel, Citroen and other manufacturers. Cars, commercial vehicles, vehicles after accidents or with technical failures are sold in the auctions. In the open auctions, you offer a price which is 100 € higher than the current maximum price visible to all the auction participants. Exleasingcar offers car delivery, preparation of documents and auto workshop services.